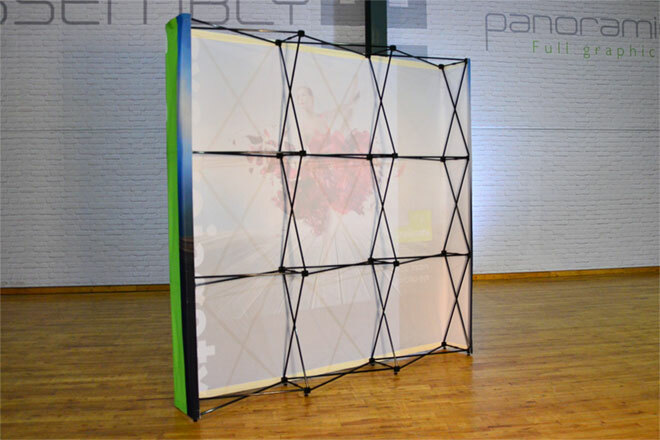 The combination of the foldable pop-up stand with the fabric graphic allows you to create a strong visual impact of more than 53 square feet in mere seconds. Smooth and seamless, the virage's fabric graphic offers an exceptional rendering with vibrant colors to highlight your company's image. Fabric pop-up with perfect edges and exceptional color rendering. The graphic stays attached to the frame, making setup and dismantling quick, simple and intuitive!